So you’ve invested in a beautiful, waterproof deck for your home. Or maybe you got lucky and a great deck came with your home. It can disappear quickly without proper care and cleaning with waterproof deck chemicals. There are great methods and products for cleaning your deck. And then there are hazardous chemicals to avoid! Pure Bleach ~ Pure Bleach is a dangerous chemical that literally eats through materials. This means eating past your deck’s protected surface and into the wood. 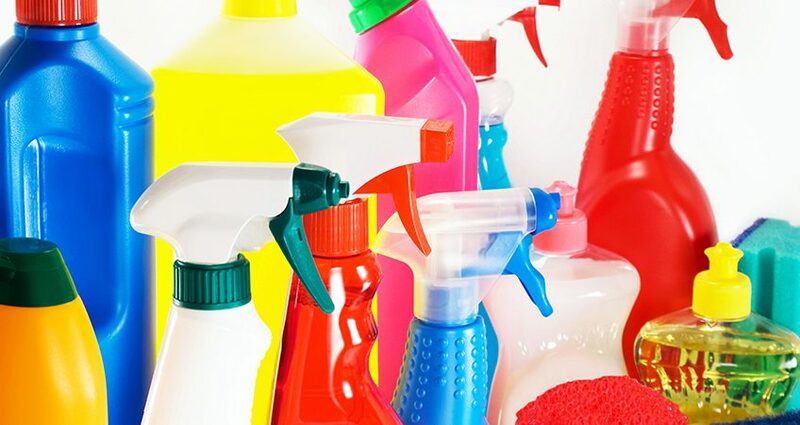 There are cleaners that contain some smaller percentage of bleach and other safer chemicals. Be sure and look into their effects on waterproofing right there on that product’s label. If they are safe, they will say so. Pool Chlorine and Chemicals ~ If your deck is around a pool, whether wood, tile, concrete or some combination of these, don’t rely on the pool overflow or splashing to rinse off your deck. The chemicals in the pool water can actually be harsh and damaging to either surface. Concrete is not as indestructible as it may seem. Basically, check and avoid any cleaner that contains lye or acid. Even in small quantities, these two chemicals can damage a lot more than your deck. Another easy tip to remember is not to use chemicals that have warnings to stay away from children and pets. Those are generally going to be too strong for your deck as well. Unless you performed your waterproofing yourself, you should still keep an eye on your deck for non-water damage and signs that your waterproofing may be flawed due to improper application. There is also a difference between a deck built with waterproof treated wood and a deck that has had waterproofing applied after it was built. Wood protected with polyurethane can be compared loosely to a thick strong coat of nail polish. As we know, there are things listed above that eat through the best top coats. Use something in the following group to keep your deck clean and protected. 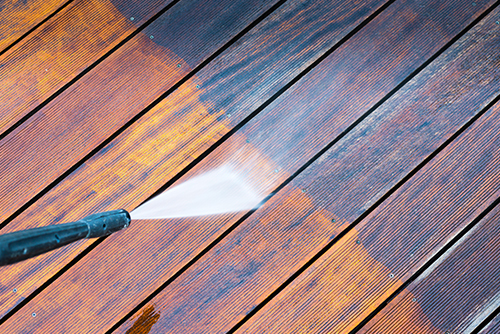 Mild detergents in water are great for cutting grime and truly cleaning your deck surface. Obviously, there are products marketed for deck cleaning that are meant to keep your waterproofing safe and your deck looking good. The extra comfort is that these products likely come with guarantees as well as instructions. Power washing is the best, non-chemical way to clean your deck. If you have never used a power-washer you may want to hire someone or seek out some instruction to familiarize yourself with proper methods and the dangers of using too much pressure. This is important to not damage your deck. With composite decks, pressure washing may not be a good option no matter how low the pressure. Vinegar is a great, safe cleaner in many situations. It works to cut grease and build-up and also helps fight mold and mildew. One part water and one part water will do the trick. Baking soda is a great cleaning agent that allows for some scrubbing but is still non-abrasive. Mix a cup of baking soda for every gallon of water and mop or soft-brush onto your deck, rinse well and do so in drying weather. Feel free to experiment with combinations of detergents, vinegar and plenty of warm water to find the recipe that works for you. All of the safer options are gentler on your deck, which may require a little more elbow grease and time, but cleaning often will cut down on layers of dirt and keep you and your deck happy. Contact us with questions involving your deck and its construction and care. Whether this is your first and only deck or you’re running a larger operation with multiple decks to maintain, Pli-Dek is the industry expert.